24-hour forecast: Mostly sunny today and partly cloudy tonight. Showers or thunderstorms will be isolated. Today: Winds: East 5-15 kts. ; seas: Light chop - choppy. 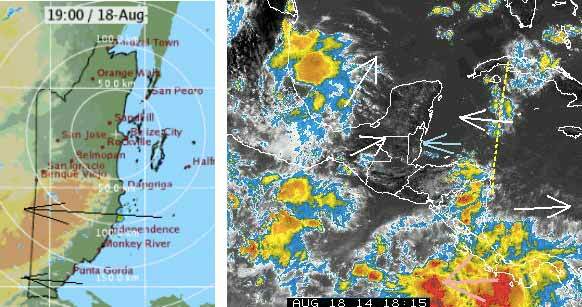 ; waves: 2-4 ft.; isolated showers or thunderstorms. Marine Outlook: Tuesday night:- Winds: East 10-20 kts. With occnl higher gusts. ; seas: Moderate - rough. ; waves: 4-7 ft.; small craft caution. ; isolated showers or thunderstorms over the south. General Outlook: For Tues. and Tues. night is for contining mainly fair weather with only isolated showers or thunderstorms developing. On Ambergris Caye the wind has died and the sea is calm. Our expected high is 89. We have showers moving in and out. 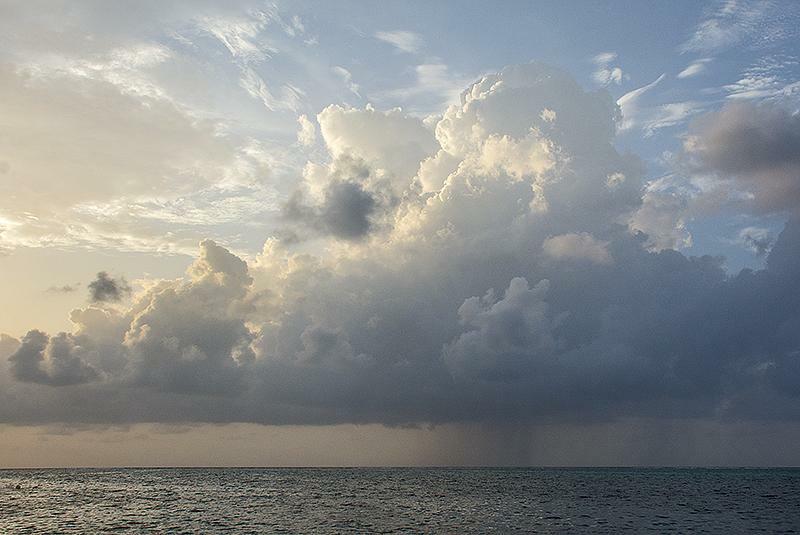 There is some rain about, scattered in the southern half of Belize. Looks like a weather front due in late tonight or tomorrow.